Texas A&M has picked up some momentum over the last week and will take on the LSU Tigers this weekend. 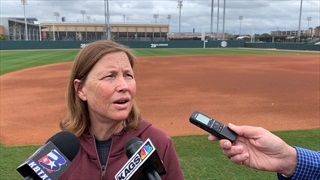 On Thursday, head coach Jo Evans and the Aggies met with the media to discuss what the maroon and white need to do in order to win the first SEC series of the year. 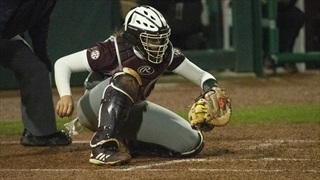 The Aggie softball team had a strong outing in the first of two games on Saturday, defeating Northern Colorado 9-1 by run rule in just five innings. Texas A&M was led by strong performances from Haley Lee and Payton McBride.